When using a coping saw, I sometimes find it easier to saw with the workpiece held vertically. 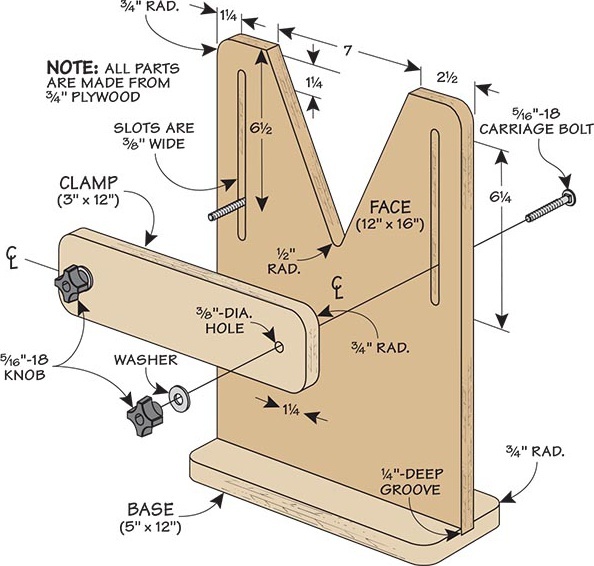 The birdsmouth vise shown here positions the workpiece at a comfortable height for sawing. 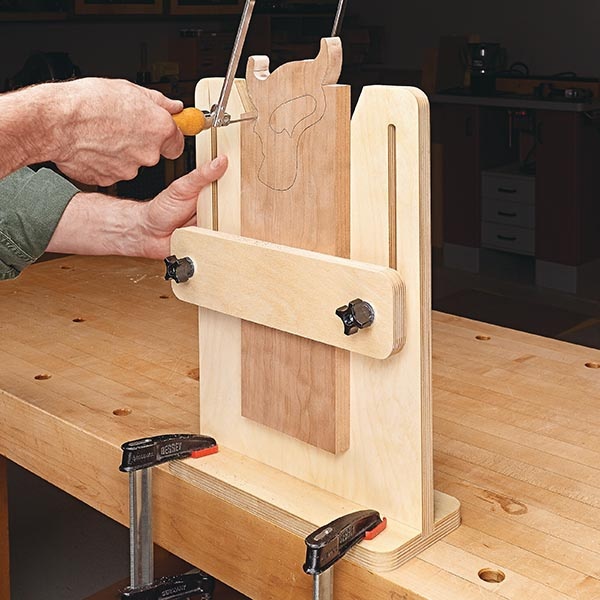 To use the vise, simply secure it to your worksurface. Place the workpiece between the clamp and face then tighten the knobs. The drawing here show how it goes together. The base is grooved to hold the vise face. I cut a large V-notch into the face of the vise to provide clearance for the saw blade as you cut. A pair of slots provides adjustment for the clamp. I fastened the clamp with pairs of carriage bolts, knobs, and washers.